Experience the grandeur of the High Country of North Carolina with the stunning Blue Ridge Mountains as your backdrop. The properties for sale here offer the opportunity to live in one of the most beautiful regions. 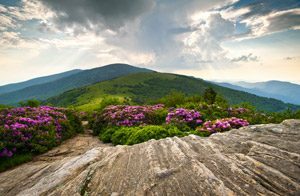 If you’re interested in Blowing Rock’s real estate specifically, you’ll be pleased to uncover a superior selection of investments, from available mountain lodges to downtown condos. Every listing comes complete with the amenities of Western NC, and you can’t put a price on those. The Mountain Group at Premier Sotheby’s International Realty knows these mountains, their communities, and homes. We call them home ourselves. Furthermore, our team is positioned to guide you in establishing your own home here. We’ll listen to your wants and needs and identify a house for sale that is right for you. Real estate of our region comes in a variety of shapes, sizes, and locations. What determines the value of a property isn’t the asking price or the square feet, it’s the prospective buyer. We’ll define what you deem valuable, and that will direct our search. Acquaint yourself with your imminent place of residence by browsing our area pages with information on local attractions, recreational opportunities, and more. If you like what you know so far, it only gets better. 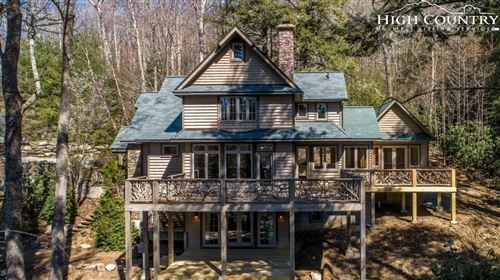 The properties on our site include all the High Country homes for sale, along with Asheville’s esteemed market, and into Tennessee and Virginia. These listings are more than places to live; they’re places to have fun and they give you access to the area around you. Real estate Blowing Rock NC is like a three-for-one deal. You purchase a home here and you gain the benefits of being a resident. You become in the know and can take advantage of all local happenings, events, you name it. There is no better time to make it happen. Browse the real estate today.